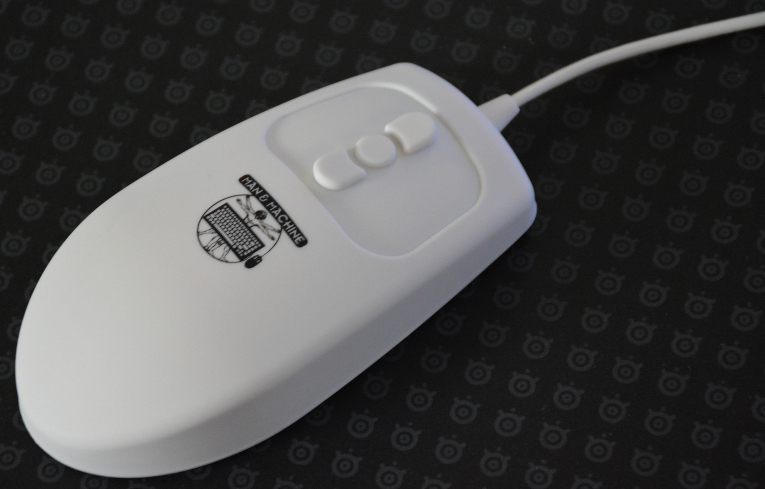 In search of a decent corded mouse that will last a long time, I purchased a Mighty Mouse from Man & Machine, makers of keyboards and mice that you can spray down with various cleaning solutions commonly found in medical/industrial environments. In fact, your order comes with a list of what you can use on the mouse. Coupled with it being assembled in the USA, I took the plunge and ordered one. My mother ordered one for her husband and a petite mouse, which is the same as the Mighty Mouse, save for being a bit smaller. So far it seems responsive and feels durable. With the mouse wheel replaced by buttons this is something that will take some people some getting used to – my mom being one of them. This allows me to retire my MS Intellimouse 1.1 to backup duty. I do plan on getting another one of those, as the build quality on that model is worth tracking one down. This evaluation is ongoing, as durability is very important to me. I have another review I’m working on regarding a different piece of equipment, but I still have pictures to process, so it’s going to be a bit. On a related note, I’ve been able to verify that newer Linux distros (Ubuntu 16.04-based) have no problem with UEFI. That being said, if Dell can make its newest laptops legacy/UEFI selectable, then others could as well.